I have been training with weights and the like for well over 5 years now; though only seriously for the last 3 years. I qualified as a YMCA personal trainer in 2009, aged 17 and this was the beginning of my bodybuilding/fitness career. I decided to enter a bodybuilding competition at the age of 18 (…NABBA South England Championships) in the junior class and I placed 1st. This was a huge boost for me and I knew I'd found something that I both loved, and more importantly had potential in. Since then I have trained at least 6 days per week and upto 12 sessions in these 6 days consisting of both cardiovascular and strength conditioning. I also study Philosophy at degree level and it is from this angle with which I wish to attack the fitness industry. I want to bring the mind back to bodybuilding. With scientific revolutionary discoveries, new medicines and new physiological research there has, in my mind, been a tendency to take this to be all there really is to the human body. We are forgetting the very most important thing with which the human is furnished: the mind. It is my dream to merge philosophy with physiology. the mental with the physical, and the intent with the reality. Thanks for visiting my website! Shoot with Justin Tayler, October 2012. My first proper fitness shoot! I recently signed with Ultimate Sports Nutrition (USN) and am very proud to be a part of Team USN. 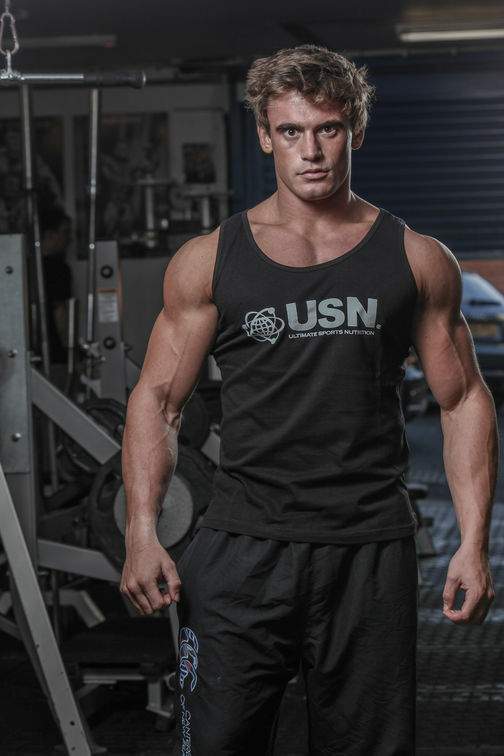 As you'll all likely know, USN is one of the largest and most diverse supplement companies out there, ranging from South Africa to Australia through the UK and even into France. Their quality of product and advice is, as far as I'm concerned, paradigmatic. I'd like to thank Albe Geldenhuys, Karl Bickley, Max O'connor and the rest of the team for helping me settle in so quickly. I recently signed with USN. I'm ecstatic to have signed with such a prestigious company. I shot for USN last month with the great 'FivosPhotography'. Find his website here: http://www.fivosphotography.com/ Along with JustinTayler he's one of the best photographers I've had the pleasure of working with. The shoot was HIGH energy, we went for about 3 hours and I'm so pleased with the results. Rory Norman joined BodyProfile on December 9, 2012.